This biennial wine/food fair is always a must in the wino/foodie’s diary . . . . albeit that . . . This biennial wine/food fair is always a must in the wino/foodie’s diary. I think this is my 7th time in Barcelona for this event and after the first day I’m pleased to say that I’m enjoying the experience as always. Albeit, that there seems to be a change afoot – although it could be a one-off? I know the halcyon pre-la-crisis days (before the Spanish recession) are gone, maybe forever, but I have to say that the encouraging signs that Spain is coming out of that dreadful economic blight, as witnessed in my area of the Costa Blanca, where the phoenix-like real estate agents proliferate once again, are not so noticeable here. The rise and rise of the popularity of artisan olive oils is evidenced by the noticeable increase in the number of stands devoted to them, in a marked contrast to the number of wine stands this year. Furthermore, in the Intervin Hall, where two years ago for example, not even in pre-la-crisis times, there have to be the fewest wine exhibitors I’ve seen, but the most wine related (sometimes tenuously) other stands offering for example, snacks etc to accompany wine, and boxes in which to place the bottles. And if that’s not worrying enough (for the hosts) there are several areas where rough seating has been arranged, occupying spaces that should have been filled with wine exhibitors. In past years the exhibition area has been full to bursting with wineries all trying to tempt the press and, more importantly, buyers too. Indeed I wrote one article several Alimentaria’s ago entitles ‘The Changing Face of Alimentaria’ – a reference to the increasing number of Chinese buyers who were being feted by all and sundry in their attempts to break into the, predicted burgeoning Asian market. The aisles were packed – today not so at all. So what does it mean? That the quality of Spanish wine is on the wane? No – far from it. I’ve just returned from a José Peñin led tasting where impressive statistics were shown, indicating, nay, proving that the standard of Spanish wine is currently at an all time high. So exactly what is the nature of the problem, perceived by me at least? Is it perhaps the competition? Fenavin, another Biennial fair, held usually in Ciudad Real, where I was last year, seems to expand year on year – is this a reason for an apparent decline in numbers exhibiting in Alimentaria? Or, maybe it’s the prices charged by a perhaps slightly arrogant Alimentaria? A new friend of mine, a ‘natural wine’ maker was asked if he’d like to exhibit at Alimentaria 2016n as poart if a group of similarly disposed winemakers. His reasons declining were firstly the cost, and, admittedly, the perceived public’s indifference to the notion of ‘natural wines’. Or is the decline simply a matter of a gradual loss of Alimentaria’s magnetism – are fewer people drawn to the event? I suspect it’s a combination of all the above. And maybe it’s just a one-off, perhaps a cyclical thing, with a bigger and better bounce-back in 2018? Well, rather a minor-keyed intro to Alimentaria 2016 above – there are also lotsa good things about this year’s event too! The ‘Vinorum Think’ concept, a new innovation this year, is excellent. 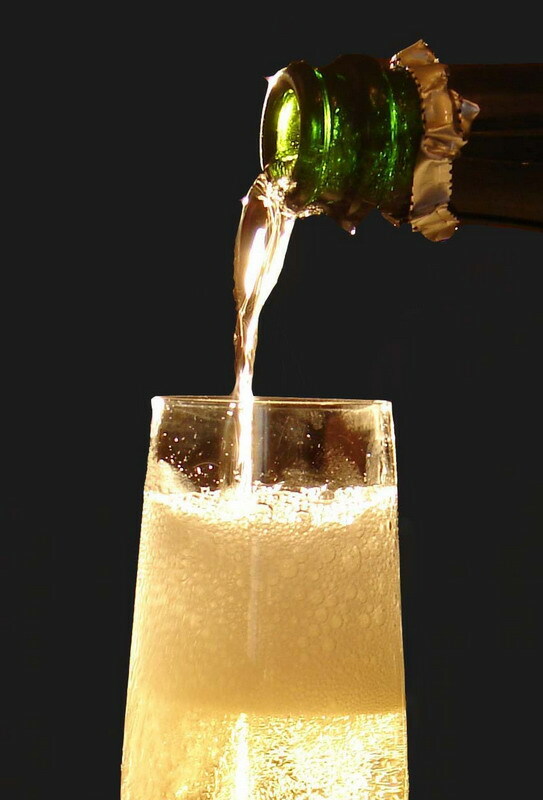 I’ve been to two of the ‘cata’ (tasting) events so far and I’m planning on a few more too – as they’ve been excellent! Luminaries such as José Peñin (he of the Guide) and Guillermo Cruz, sommelier extraordinaire have presented exemplary catas with extraordinarily fine wines (e.g. a horizontal tasting of Rioja’s from the 2001 vintage; and a sample of the wines given top marks in the Peñin Guide 2016). So, there’s plenty more to come here at Alimentaria 2016 – and another Anecdote later! 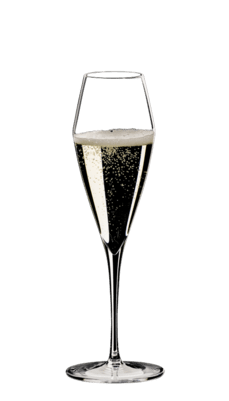 Author ColinPosted on December 4, 2015 Categories BlogTags DO Cava; Spanish Sparkling Wine; Spanish WineLeave a comment on Cava for Christmas – a different spin! PROVENÇAL ROSÉ – VARIATIONS ON A THEME? Well, no, actually – colour-wise, they’re all the same! 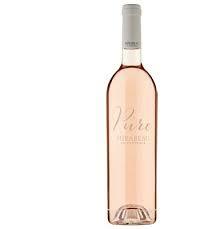 Let me firstly say that I am a keen fan of Provençal Rosé. During our very recent Provençal sojourn I tasted well into double figures of different wines and whilst I had my favourites, it’s true to say that I enjoyed them all. There’s nothing quite like tasting iconic wines in situ. This year (summer 2015) there have been record temperatures to go along with a record number of sunshine hours. So much so that wine producers will be picking early this year as the grapes are reaching optimum maturity and ripeness at least a week earlier than has been normal for decades. Indeed I know of one producer who has serious concerns about the survival of the new vines he has recently planted, because of the climate change and, of course, its attendant lack of rain. It’s all very well for the teeming tourists, but for farmers there are serious worries. 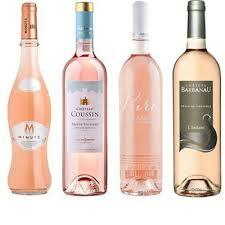 Now, a change of tack – but the course will revert back to the Rosés of Provence. 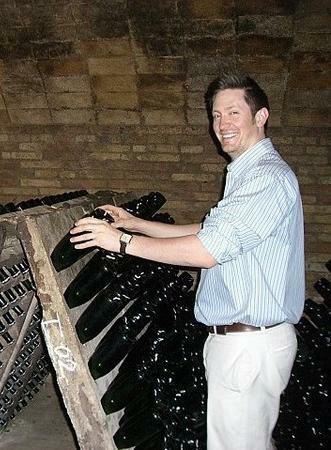 I was at a major wine tasting earlier this year where I was talking to a Spanish producer whose wine’s I’d just tasted. One of them was a very pale pink rose petal coloured rosado which I enjoyed. I asked him about the rather dramatic change in colour, considering the rosados that they have produced in the past, which I’ve also enjoyed. 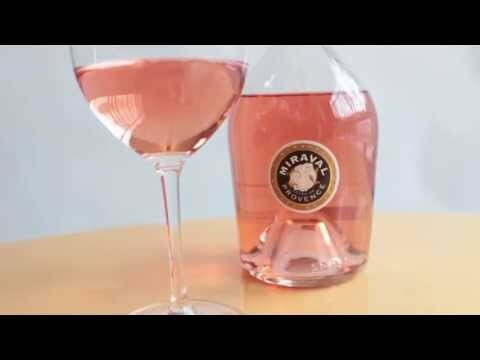 As I expected he replied that this colour change was a response to the current world-wide demand for rosado wines made in the Provençal hue, the very pale pink that is so typical of rosé wines from Provence. An interesting, similar experience occurred at another tasting this year where a producer was presenting the bodega’s first rosado of the same pale hue. It was ironic, for me, that there were far more negative comments about this wine than positive, from the Spanish tasters. 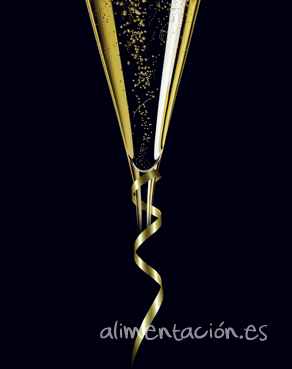 In some respects Spanish consumers are a step behind what’s going on in the rest of the world, re wine. (Another example is Spain’s delay in embracing screw-top bottle closures). The pioneering bodega which had decided to launch this new (for Spain) shade of rosado was also responding to the international demand for oh-so-pale rosé. They sell all over the world and were not surprised that the wine wasn’t (as yet) popular in their area, and indeed in Spain in general. A profit in his own country . . . . 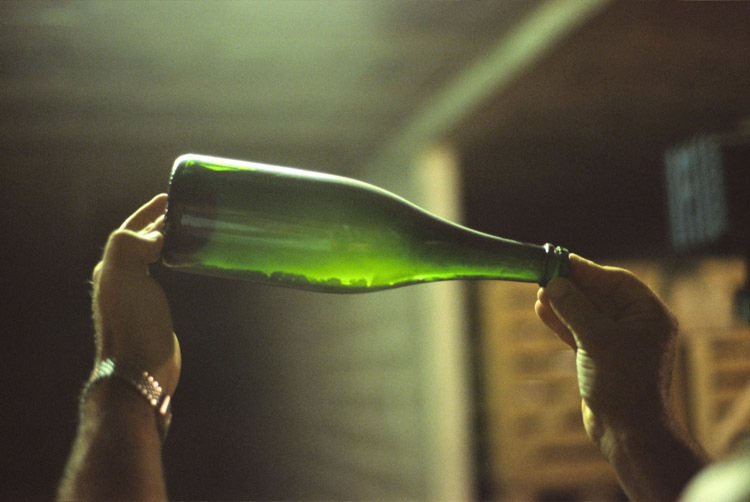 The article’s author, the owner-editor of the magazine (as well as the excellent Guía Proensa, Spanish Wine Guide), Señor Andrés Proensa is making the point that now in Spain there is a huge choice of rosado wines, in terms of grape varieties, of course, some of which include white wine grapes, as well as in colours. And this is where our two tacks converge. There are many different grape varieties used for Provençal Rosé wines (this number is smaller than those for Spain, of course, as Provence is a relatively (to Spain as a whole) small area of production. However, though I’m no artist and cannot really note any infinitesimally slight change in shade, when it comes to the colour of Provençal Rosé, they are all the same! On supermarket shelves there is a vast array of rosé wine in Provence – understandably, as in the towns and villages there are signs proudly claiming that they have a 2,600 year history of making such wines! But, in terms of colour – there’s practically no difference! I’m sorry, mes amis, but as a spectacle, it’s boring! I just wonder if there is a producer in Provence who has the guts to break the mould, like the two Spanish producers mentioned earlier. A revolutionary who is prepared to take some flack, who wants to make rosé of the same undeniable quality as that which is made already, but, for heaven’s sake, rosé with some colour in its cheek! I know – the answer is a rhetorical question: ‘Why change a winning team? If it aint bust, don’t fix it!’ Plus, of course, the evidence in the international market suggests that this pallid rosé is what the consumer demands. Our two Spanish pioneers (along with a few others who’ve also always made their rosado in this style, regardless of fashion) have decided to [join ’em] rather than try and [beat ’em]. So Provençal producers must have it right! Well, let me leave you with a thought, alluded to already in the paragraph above – consumers are notoriously fickle. 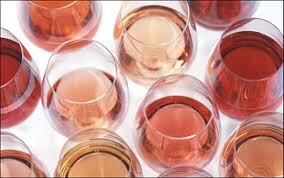 The international demand for pallid-pale coloured rosés is nought but a fashion. A mode that will reach its zenith and then, like colour in the wine, fade. As with many fashions it will come again, but for me, it’s variety as well as quality that counts. This is where Spain (see above) wins out!